I'm currently preparing to be tested for Gluten Intolerance from my DR. I have many of the symptoms mentioned above with a few additional and I'm wondering if you think they're related. For years now I've been feeling like I've had a few glasses of wine. I feel high much of the time and cognitively slow. It has had serious repercussions on my business. At first we thought it might be hormone related (I"M 54) but the blood work says otherwise. I've also had this thing with my skin where it just feels hypersensitive to the touch of fabric or my hand. My internal organs will ache as well, kind of just like having the flu but with no fever. And then it goes away. I also have pea sized lumps here and there, mostly in my legs but also in my arms.. and they hurt. My joints also hurt. The blood work shows no signs of lyme or Arthritis. My Blood Calcium Level is very low, as is my Vitamin D Level. I'm curious to know if what I've described above is something anyone has experienced and has had connected to Gluten intolerance. Thanks so much! Gluten Sensitivity and Cognitive Function..
Well, it sure sounds like there is a lot going on. Simply having any ONE of those symptoms, the cognitive problems, skin hypersensitivity and low calcium levels would make me suspect Celiac Disease- but those are also all Symptoms of Vitamin D Deficiency and Intestinal Candida Symptoms as well. That's why it's so hard for doctors to usually deal with chronic health problems- all of the symptoms could be any number of things. But you are on the right track getting tested and knowing that you have a low vitamin d level. 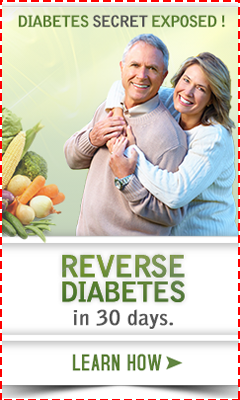 Has your doctor given you instructions to bring your vitamin d level up yet? 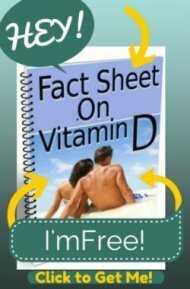 Be sure that you read my page on Vitamin D Therapy so that you know what your Vitamin D Deficiency Treatment should be and so that you don't take Prescription Vitamin D.
Next, so while this may seem very "picky", you are getting tested for Celiac Disease and NOT for Gluten Sensitivity. Please read my page on Diagnosing Gluten Sensitivity so that you understand that EVEN IF YOUR TEST IS NEGATIVE, this doesn't tell you whether you will BENEFIT from being off of gluten. You COULD have a condition called Non Celiac Gluten Sensitivity and if you are negative, you may still want to HIGHLY consider going on a Gluten Intolerance Diet anyway. So, take a look at the pages that I've referred you to and let me know if you have any questions.